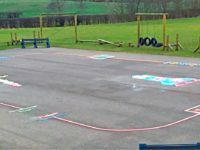 During February 2015 our team installed playground markings and a unique exercise track which ‘breathed a new lease of life into a tired looking playground’ at St Mary’s Primary School in Stanley, County Durham. 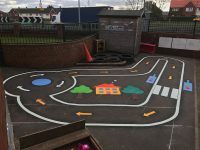 We worked with the school to design a unique exercise track with fitness stations for the children to use at break times as well as during their PE lessons. 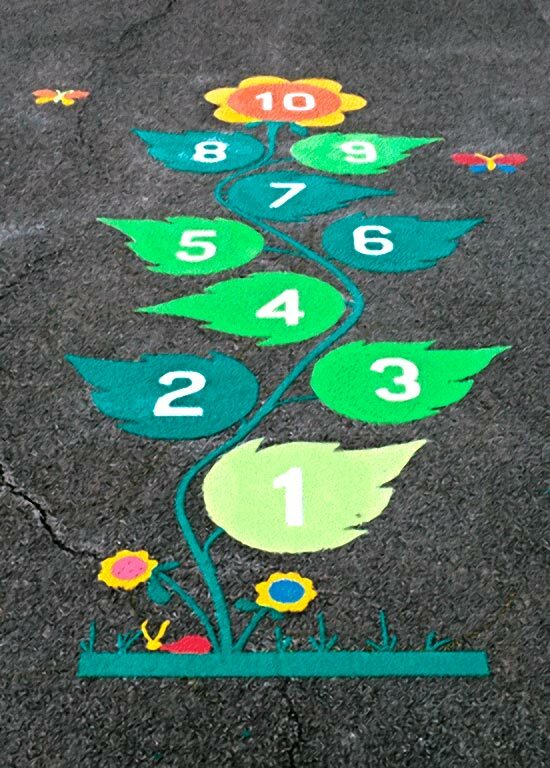 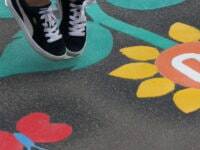 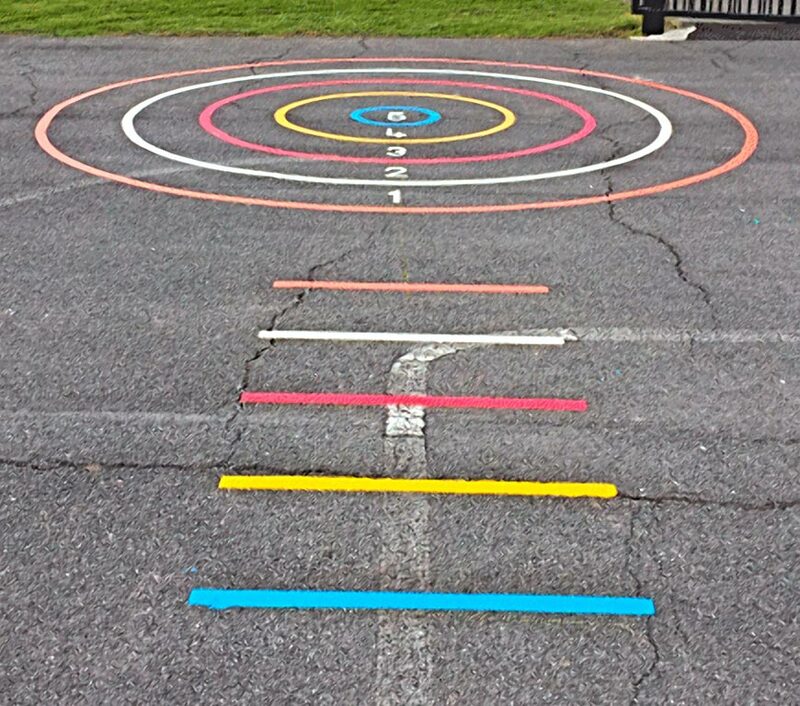 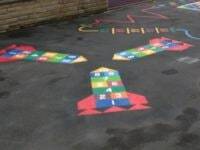 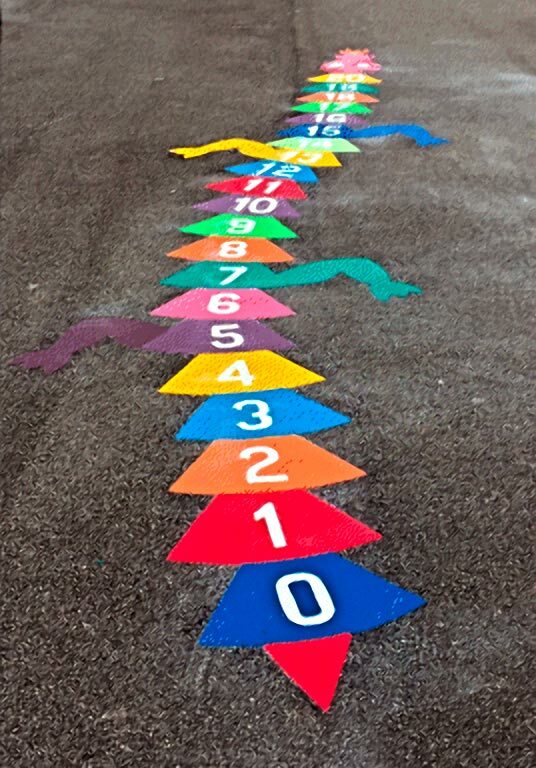 Along with the Exercise Track we also installed a number of our traditional markings in the school playground including Sunflower Hopscotch, a Rocket Hopscotch and a 0-20 Dragon.